The band of superstars that make up the cast of Rock of Ages are all present and accounted for in the film’s latest poster. Tom Cruise leads the way as rock star Stacee Jaxx, with Alex Baldwin, Paul Giamatti, Catherine Zeta-Jones, Julianne Hough, Diego Boneta, Russell Brand, Mary J. Blige and Malin Akerman staring intently at the camera behind him. 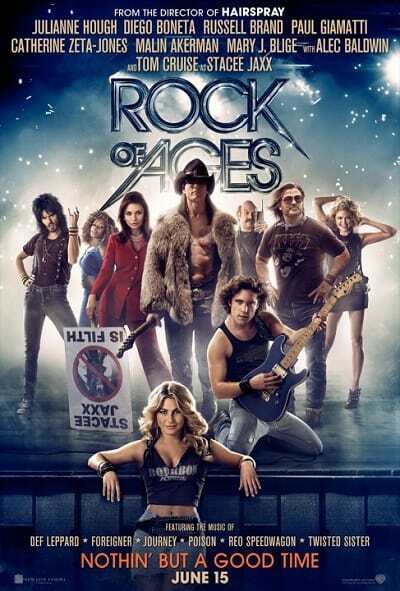 The film is based on the wildly successful Broadway play and given that it is being brought to the screen by Hairspray director Alan Shankman, we have a feeling this Rock of Ages will rock when the good times roll June 15.